Professor Susannah Quinsee is Director of Learning Development and Chair in Learning and Teaching Development at City University London. She leads the Learning Enhancement and Development Directorate which encompasses educational development and technology enhanced learning activity; academic skills, dyslexia and disability support, and student counselling and mental health services for the University. She was Chair of the Heads of E-Learning Forum (HeLF) Steering Group from 2007-2011 and as a founder member of HeLF still remains on the HeLF Steering Group. 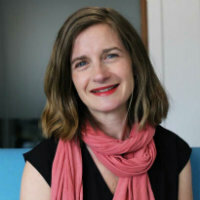 Susannah has worked as a lecturer and in academic support roles at a number of other higher education institutions in the UK as well as leading on large scale institutional change projects. In 2011, Susannah became a National Teaching Fellow. She has considerable experience in the areas of online learning, student support, implementing learning and teaching strategies and project management in relation to higher education. Susannah’s current research focuses on leadership and change management in relation to learning development, developing communities of practice in higher education and engaging staff in new learning and teaching methodologies, particularly using technology. She has undertaken consultancy work for other Universities and national agencies including the Centre for Excellence in Leadership and the Leadership Foundation. Quinsee, S. (2012). E-learning (m-learning). In Jarvis, P. (Ed. ), The Routledge International Handbook of Learning London, UK: Routledge. ISBN 978-0-415-57130-2. Quinsee, S. (2007). Using technology to make personal learning a reality. E-gazing: further horizons for leaders (pp. 24–25). London, UK: Centre for Excellence in Leadership. Quinsee, S. (2006). A flexible vision for e-learning in the future. E-gazing: leadership and e-learning London, UK: Centre for Excellence in Leadership. Quinsee, S. (2005). Responding to the E-Learning Imperative. In Levy, P. and Roberts, S. (Eds. ), Developing the new learning environment (pp. 133–152). London, UK: Facet Publishing. ISBN 978-1-85604-530-8. Quinsee, S. (2000). Aphra Behn and the male muse. In O'Donnell, M.A. and Paris, U.D. (Eds. ), Aphra Behn: identity, alterity and ambiguity (pp. 89–106). Paris, France: Editions L'Harmattan. ISBN 978-2-7384-9753-6. Quinsee, S. and Parker, P. (2017). DEVELOPING EDUCATIONAL LEADERSHIP. Quinsee, S. (2011). ‘3 stars for effort’: designing pedagogic models for online learning delivery. ECEL 2004: the 3rd European conference on e-learning 25-26 November, Paris, France. Quinsee, S. and Solkin, L. (2011). E-learning and e-advice: an exploration of the process of partnership in extending the boundaries of learning for small businesses. EDEN 2004 Annual Conference 16-19 June, Budapest, Hungary. Quinsee, S. (2005). The e-credibles - strategies for rewarding staff to engage with online learning technologies. Online Educa 2005 11th International Conference on Technology Supported Learning & Training 30 Nov 2005 – 2 Dec 2005, Berlin, Germany. Quinsee, S. and Solkin, L. (2005). Work Based Learning and On-Line Tutoring – An Exploration of Work Context and Content on the Development of On-Line Tutors. EDEN 2005 Annual Conference 20-23 June, Helsinki, Finland. Quinsee, S. and Sumner, N. (2005). How to manage the big bang: evolution or revolution in the introduction of an MLE? Quinsee, S. and Sumner, N. (2004). How to manage the big bang… evolution or revolution in the introduction of an MLE? Networked Learning 2004 5-7 April, Lancaster, UK. Quinsee, S. and Jones-Devitt, S. (2018). Enhancing the Impact of National Teaching Fellows: Critical Success Factors. HE Academy. Quinsee, S. and Anagnostopoulou, K. (2010). Researching one’s own profession: considerations and guidance. The Higher Education Academy. Quinsee, S. (2004). Implementation of an academic enterprise system. JISC InfoNet. Quinsee, S. (2001). Biographical sketches of Anne Bradstreet, John Bunyan, Margaret Cavendish, William Shakespeare, John Webster. Quinsee, S. (2012). Drinking Coffee and Reading Papers: That’s not real teaching is it? Learning at City Journal, 2(1), pp. 6–9. Quinsee, S. and Bullimore, A. (2011). Creating the strategic learning environment at City University London. Campus-Wide Information Systems, 28(4), pp. 275–288. doi:10.1108/10650741111162743 . Quinsee, S. and Bullimore, A. (2011). The whys and wherefores of creating the Strategic Learning Environment at City University London. Campus Wide Information Systems. Quinsee, S. (2011). How can we create the university of the future? Learning @ City Journal. Hurst, J. and Quinsee, S. (2005). Partners with clinical practice: Evaluating the student and staff experiences of on-line continuing professional development for qualified nephrology practitioners. Turkish Online Journal of Distance Education, 6(1), pp. 52–59. Quinsee, S. and Hurst, J. (2005). Blurring the boundaries? Supporting students and staff within an online learning environment. Turkish Online Journal of Distance Education, 6(1), pp. 1–9. Hurst, J. and Quinsee, S. (2005). Partners with clinical practice: Evaluating the student and staff experiences of on-line continuing professional development for qualified nephrology practitioners. Turkish Online Journal of Distance Education, 6(1), pp. 54–61. Williams, P. and Quinsee, S. (2005). Information and e-learning. ASLIB PROCEEDINGS, 57(2), pp. 105–108. Quinsee, S. and Williams, P. (2003). Delivering Masters online. CILIP Library and Information Update, 2(2), pp. 48–49. Quinsee, S. and Williams, P. (2003). Using WebCT to teach key skills. CILIP Library and Information Update, 2(2), pp. 42–43. Quinsee, S. (2001). Facilitating e-learning. The Library Association Record, 103(10), pp. 616–617. Quinsee, S. (2001). 'Margaret Cavendish's critical heritage and the creation of an infamous gendered literary identity. In-Between, 9(1), pp. 89–106. Quinsee, S. Interviewed by Julian May.